This Saturday marks the start of England’s week long celebrations honoring Shakespeare, who would have turned 444 on April 23. Since I can’t make it out to Stratford this year, I hope to join one of this weekend’s Sonnet Walks in London, which highlight the Tudor history of the city in the accompaniment of twelve sonneteers. I’m also excited about the 2008 theatre season kicking off at the Globe with Wednesday’s performance of King Lear. If you haven’t already got your hands on tickets to the season’s sold-out inaugural show, you can still join in the pre-performance birthday celebrations alongside the Thames, where a miniature Elizabethan theatre will be floating down the river before docking in front of the Globe. But the ideal place to celebrate the bard’s birth is his Warwickshire birthplace of Stratford upon Avon, where an annual parade sets off next Saturday morning from his birthplace (pictured above) and culminates with the laying of floral tributes on the dramatist’s grave in Holy Trinity Church. Throughout the weekend, the town takes on the atmosphere of a lively Elizabethan carnival as musicians and members of “Shakespeare Live” stroll the streets performing scenes from the Bard’s repertoire. 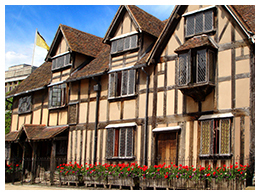 Even if you can’t visit during the celebrations, Stratford is a must-see at any time of year because of its amazingly well-preserved Tudor architecture and its four Shakespeare-related properties. 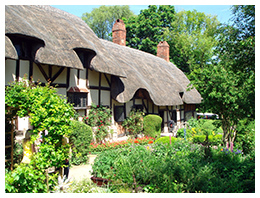 My favorite is Anne Hathaway’s cottage, an enchanting thatch-roofed dwelling surrounded by hollyhocks and climbing roses. 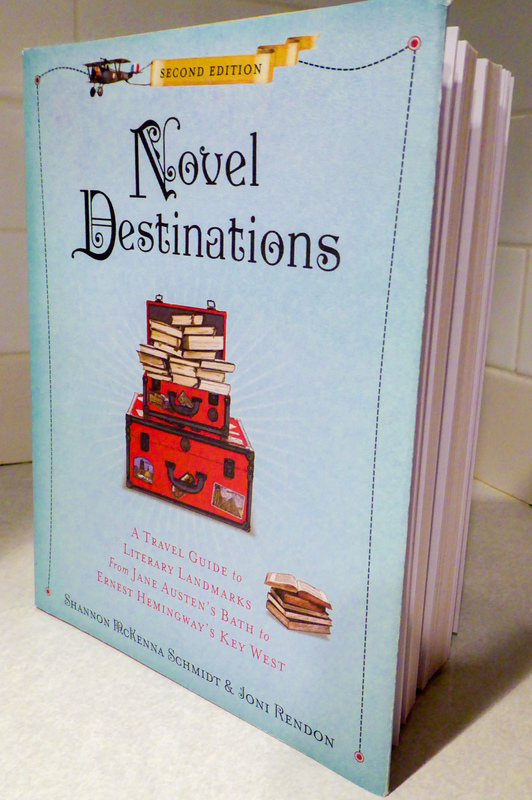 It was in this fairytale setting where the bard wooed his future wife.